Christian went away for the weekend. He was heading to Stockholm with a friend to go to a concert. It was all good and well but we had one major issue; he was missing the Hannibal season finale. We both take our fandoms seriously like that. A loyal girlfriend as I am I would never cheat of course; so I waited for him to return to watch it with him. (Which would include no tumblr or such as to avoid spoilers). We made a plan to make it into a proper Hannibal-celebrating date; Put on something decent, make something a little bit more expensive than usual for dinner, maybe a glass of red wine. You know, things our favorite cannibal would've appreciated. I tried to figure out a way to make my make-up Hannibal-inspired without splashing my face with theater blood, and I wanted to do something simple-ish with no false lashes as we were doing the date in our own living room. Why not have a date and feel relaxed. I dared being pretentious enough (which also suits the show, dare I say) to add a double meaning to my color choice. The first being the blue vs red, which is an obvious nod to the returning red and blue contrasting colors through the show, especially the first season. The second is the lips representing dr. Lecter, with a blood-esque deep, sophisticated red tone, while the eyes are messy and dark, representing Will and his ravenstag. and blended well, and lastly added the blue hint. 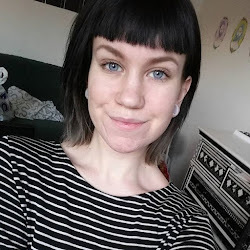 Both blue and black shadows are from Sleek-palettes. For the lips I started out with Sleeks lipstick in Vamp, and went over it with a mix between a deep brownish-red pigment I got from Lush, mixed together with a tiny bit of OCC's Cyan blue. Unfortunately we had no wine, but iced tea with food-coloring is close enough. For dinner we had a nice steak I have no idea the english name for, along with oven-roasted potatoes with cream and cheese, and some slices of squash. It tasted heavenly. Probably way better than actual people. The season finale was also amazing. Well worth the extra days worth. Too bad there's probably a year 'til the next episode, but part of me kind of wanted that to be the ending anyways. So the fact that there's more is kind of bitterweet. I have been a fan of the character Hannibal for a long time. It was my mother who first introduced me to him when I was younger. She was, and probably still is, a huge fan of the movie Silence of the lambs and was trying to advice me against seeing it. But me being 14 at the time I think, was just intrigued by her advicing me not to see it. As any 14 year old would be. I saw it, and while I probably didn't get it as well as I do now, I loved it. The character Hannibal Lecter really fascinated me, he had such an intense presence and it was the first time I saw a villain being a person more than a monster. I have now been proven that it can be taken even further, but I'll get to that. I saw the movie Red dragon a few years later, and also read the book behind it, written by Thomas Harris, and I've since then seen Hannibal and Hannibal rising, which I really didn't care for. Red dragon isn't the best movie either but it has some interesting characters and development, which I really liked being younger. Which is why I was so skeptical when they first announced a show based on Thomas Harris' characters. I knew these characters. 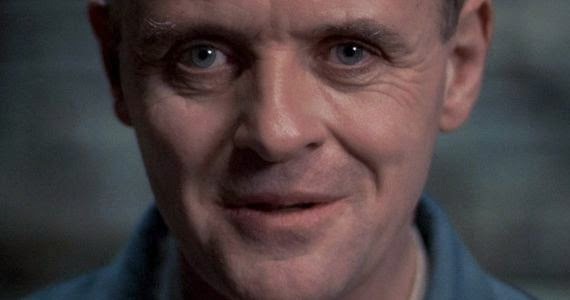 Hannibal Lecter was Anthony Hopkins to me, and Will Graham was Edward Norton. I had great respect for Mads Mikkelsen but there was no way anyone could portray such an iconic villain like Hopkins did it. And, as the two characters are so different, I wasn't really wrong. I remember seeing the first episode on tv at some point, maybe the first two, but didn't really care for it. It was too..smooth. The dialogue too perfect. It actually wasn't until I found out Gillian Anderson was in it I gave it a new go. And to be honest, it took about 10 episodes before I was fully invested. Or maybe, before I realized I was. What's really interesting to me are the two main characters; Will and Hannibal. Like I just mentioned, the Hannibal we see in the show is such a different character from the one in the movies. Sure, he draws, he hates rude people, he likes opera and classical music and develop disturbingly obsessive relationships with people, but while Hopkins' Hannibal has a glimpse of madness in his eyes, Mikkelsen's has a glimpse of compassion. In the show, Hannibal has to be more careful as he is still not caught. He is still murdering, dining and enjoying life to the fullest and as he wants to keep that up, he has to maintain a facade. He can't afford to act mad like Hopkins' Lecter can. This, dare I say, makes for a slightly more interesting character. 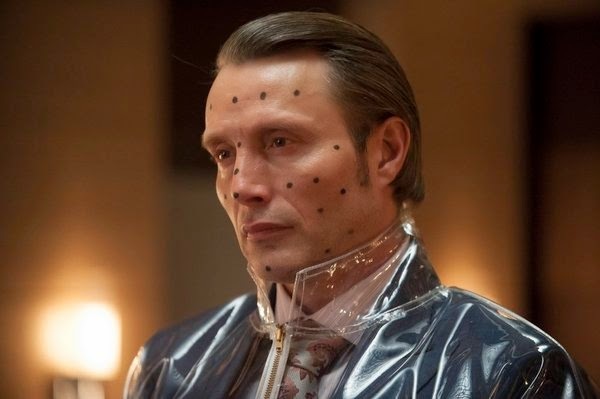 Mikkelsen's Lecter has the advantage of a lot more screen-time (compared to Hopkins who had 16 minutes total in Silence), but its also the relationship with Will and other people who drives the character arc. He has to function in a society, as a psychiatrist, in contact with people, with regular choices to make, looks to maintain and masses to impress, all while slaughtering the dentist and putting him in his stew. Its kind of a mix between the Hannibal we're used to and Patrick Bateman in many ways. anything but the bad guy. In contrast, Mikkelsen is a bit younger, arguably better looking and has warmer, albeit at times threatening, eyes. We fear him because we know him as the killer, but he doesn't necessarily look like it. He's sharply dressed, has a keen eye for details, is well groomed, charming and sensual. He comes across as reserved and strict, but intelligent and interesting. In his relationship with Will Graham and Alana Bloom we also get glimpses of his human sides. This Hannibal is capable of something frighteningly close to love, he acts sympathetic and at times reconsider if it means he can spare the ones he cares about. Yes his love is mainly based on curiosity and ownership, but its hard to deny there's selflessness to a certain degree in certain situations. This is also very interesting as its a bold move by Brian Fuller. He's essentially romanticizing a vicious cannibal. He gives us the opportunity to genuinely like a man we're made to fear. There was even a campaign online trying to ban the show from television because of this. I just find it all the more interesting, to be honest. 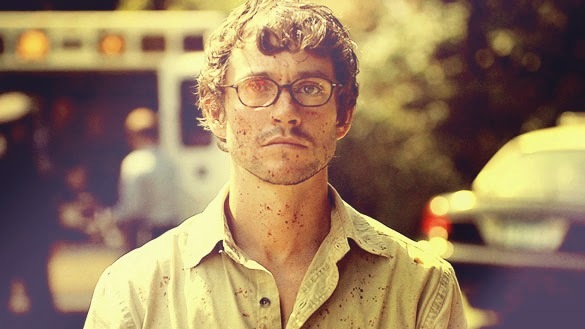 Then there's Will Graham. I don't remember too much of the book other than little details here and there and the fact that it addresses a bit more of Will's inner conflict than the movie adaption does. Again, the show takes this to a whole new level. Brian Fuller has taken a whole lot of liberty with this character and basically made him into a completely different one with the same name- but it works so well. Like the books and movies, Will Graham as a gift of "pure empathy", where he's able to get inside the killers mind and dance their dance to take educated guesses how they did it and often the motive behind it. In the tv-series, Will Graham's inner demons are more visible than ever. They've chosen to make him a somewhat weak character- he's easily influenced and manipulated, at least in the beginning, and gives in to his own madness quickly if he allows it. We see him struggle with what's real and not, and this allows for a very interesting dynamics between Hannibal and Will as Hannibal is able to get into Will's mind and Will into him in a battle of wits. Will is everything Hannibal is and at the same time the exact opposite. While Hannibal has a lack of empathy and emotions, Will has too much of it. But Hannibal and Will share a passion for murder and what's unknown for them. They are both too curious and are drawn together in an unlikely relationship which is slowly destroying Will all the while he's addicted to it, always coming back. Like in an abusive relationship. Will is a character driven by empathy and emotions, and is often stigmatized and even used for it. A lot of characters around him, including Hannibal and his boss Jack approach him with aggression and order him about. 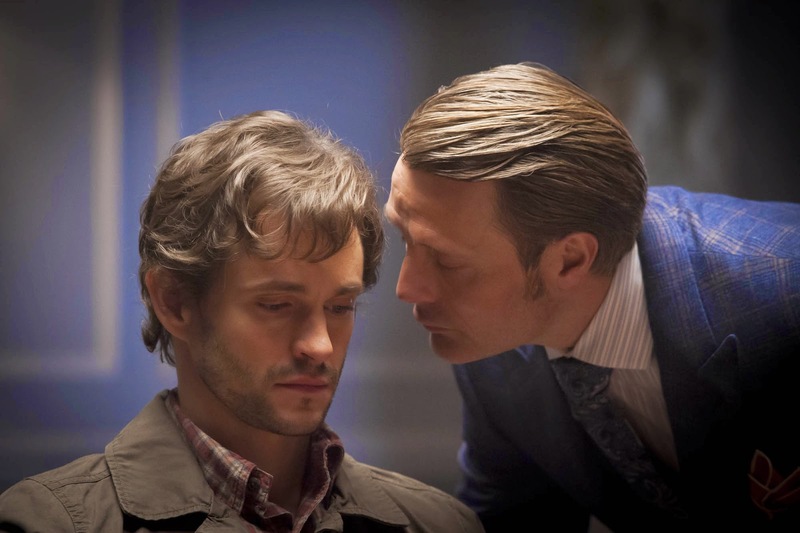 Hannibal also tend to be sexually aggressive towards him, and seem threatening and undermining. His co-worker Katz even acts a certain sexual way every time she's around him. She ignores his signals or voice and continue flirting, touching, approaching. Will also immediately steps into the role of a parent when Abigail is left with no one; he feels responsible and wants to take care of her, be her father. This is of course not something limited to women in any way in real life, but its something we typically see in women in movies, and rarely in men. One of the reasons why Will has stepped into the role of a "typical" female character, other than the writer trying to ignore gender roles and stigmas, may be that the character Will has merged into Clarice Starling along the way. While Will had the talent he did in the source material, he did not have the "attraction" and unprofessional curiosity towards Hannibal or even the friendship at all. And Hannibal did not have the sexual aggression or possessiveness towards Will in any way. He did however, have that with Clarice. What's interesting about this merge of characters is that it blurs the lines of gender roles, as I just mentioned, and it blurs the lines of sexuality. Hannibal sexuality is not in any way confirmed and while they do not have a romantic relationship, there's definite tension and possessiveness above platonic friendship. While it does have its obvious flaws (under-developed side characters, at times too obvious symbolism, repetitiveness in second season) there's a lot that makes this one of my all time favorite show. While some of the symbolism is a bit passè or just used up, a lot of it is beautifully done and works really well with the tone of the show. While it could easily come across as pretentious, I personally think the balance is perfect. The visuals are also stunning and the imagery never feels forced or out of place. The inner demon of Will is visualized in a ravenstag, a large, black buck with raven-like feathers on the chest and face. The demon he sees in Hannibal is pictured as a Wendigo; a human manifestation of his demon buck, which also adds to the symbolism that Will and Hannibal is merging into one being.